The contents of our website, including all images, text, video and audio (hereafter referred to as “materials”) are owned by Philbrook or used by Philbrook in accordance with copyright laws and with the appropriate third party’s permission. Except as may be otherwise indicated in specific documents within our website, you are authorized to view, play, print, forward and download any documents or materials found on our website for personal, noncommercial or educational purposes only. Any commercial form of reproduction, transmission, performance, display, creation of derivative works, publication, sale, rental, lending or storage in any retrieval system of the materials is prohibited without the prior written consent of Philbrook. Removal of any digital watermark, proprietary notices or accompanying text that may be included on or with any materials is prohibited. You will comply with all applicable domestic and international laws, statutes, ordinances and regulations regarding your use of our website and materials. Copyright, certain moral rights and other proprietary rights in certain works of art, as well as photographs of these works of art, and images of people or places, displayed on our website, may be held by individuals and/or entities other than Philbrook. This includes reproductions of works of art licensed to Philbrook by third parties, such as an artist or an artist’s estate holding rights to these works. You may not modify any of the materials and you may not copy, distribute, transmit, display, perform, reproduce, publish, license, create derivative works from, transfer or sell any information or materials contained on our website. Except as authorized under the copyright laws, you are responsible for obtaining permission before reusing any copyrighted material that is available on our website. You may request materials for educational presentations, professional research, print and electronic publications, and media projects. All requests for materials MUST be made in writing. Permission for such use is granted at the sole discretion of Philbrook. Please contact us for information concerning permissions. Certain fees may apply. All trademarks, service marks and trade names of Philbrook used herein are trademarks or registered trademarks of Philbrook or its affiliates. You may not use, copy, reproduce, republish, upload, post, transmit, distribute or modify Philbrook trademarks in any way, including in advertising or publicity pertaining to distribution of materials on this website, without Philbrook’s prior written consent. The use of Philbrook’s trademarks on any other website or network computer environment is not allowed. You may not use the Philbrook’s trademarks as a hyperlink (whether an image or text trademark) on or to any other website unless establishment of such a hyperlink is approved in advance. You shall not use Philbrook’s name or any language, pictures or symbols which could, in Philbrook’s sole judgment, imply Philbrook’s endorsement in any (i) written or oral advertising or presentation, or (ii) brochure, newsletter, book or other written material of whatever nature, without Philbrook’s prior written consent. For all charges for any products and services sold through our website, we will bill your credit card. In the event legal action is necessary to collect on balances due, you agree to reimburse Philbrook for all expenses incurred to recover sums due, including attorneys’ fees and other legal expenses. You agree that you will not use any robot, spider, scraper or other automated means to access the website for any purpose without our express prior written permission. Additionally, you agree that you will not: (i) take any action that imposes, or may impose in our sole discretion an unreasonable or disproportionately large load on our infrastructure; (ii) interfere or attempt to interfere with the proper working of the site or any activities conducted on our website; or (iii) bypass any measures we may use to prevent or restrict access to our website. Neither Philbrook nor you shall be responsible for damages or for delays or failures in performance resulting from acts or occurrences beyond their reasonable control, including, without limitation: fire, lightning, explosion, power surge or failure, water, acts of God, war, revolution, civil commotion or acts of civil or military authorities or public enemies: any law, order, regulation, ordinance, or requirement of any government or legal body or any representative of any such government or legal body; or labor unrest, including without limitation, strikes, slowdowns, picketing, or boycotts; inability to secure raw materials, transportation facilities, fuel or energy shortages, or acts or omissions of other common carriers. Your use of and browsing of our website are at your own risk. EVERYTHING ON OUR WEBSITE IS PROVIDED “AS IS” WITHOUT WARRANTY OF ANY KIND, EITHER EXPRESS OR IMPLIED, INCLUDING BUT NOT LIMITED TO THE IMPLIED WARRANTIES OF MERCHANTABILITY, FITNESS FOR A PARTICULAR PURPOSE OR NONINFRINGEMENT. PHILBROOK MAKES NO WARRANTIES OR REPRESENTATIONS REGARDING THE INFORMATION CONTAINED ON OUR WEBSITE, AND SPECIFICALLY DISCLAIMS ANY WARRANTY AS TO THE SUITABILITY, RELIABILITY, TIMELINESS OR ACCURACY OF THE INFORMATION CONTAINED ON OUR WEBSITE FOR ANY PURPOSE. PHILBROOK DOES NOT WARRANT THAT THE FUNCTIONS CONTAINED IN THE MATERIALS WILL BE UNINTERRUPTED OR ERROR-FREE, THAT DEFECTS WILL BE CORRECTED, OR THAT THIS WEBSITE OR THE SERVER THAT MAKES SUCH MATERIALS AVAILABLE ARE FREE OF VIRUSES OR OTHER HARMFUL COMPONENTS. PHILBROOK DOES NOT WARRANT OR MAKE ANY REPRESENTATIONS REGARDING THE USE OR THE RESULTS OF THE USE OF THE MATERIALS IN OR ON OUR WEBSITE IN TERMS OF THEIR CORRECTNESS, ACCURACY, RELIABILITY OR OTHERWISE. YOU (AND NOT PHILBROOK) ASSUME THE ENTIRE COST OF ALL NECESSARY SERVICING, REPAIR OR CORRECTION. You agree to defend, indemnify and hold Philbrook and any affiliated company or individual harmless from any and all liabilities, costs, and expenses, including reasonable attorneys’ fees, related to any violation of these terms by you or your authorized users, or in connection with the use of our website or the Internet or the placement or transmission of any message or information on our website by you or your authorized users. PHILBROOK DOES NOT ASSUME ANY RESPONSIBILITY OR LIABILITY FOR ANY DAMAGES TO, OR ANY VIRUSES THAT MAY INFECT YOUR COMPUTER, TELECOMMUNICATION EQUIPMENT OR OTHER PROPERTY CAUSED BY OR ARISING FROM YOUR ACCESS TO, USE OF OR BROWSING OUR WEBSITE, OR YOUR DOWNLOADING OF ANY INFORMATION OR MATERIALS FROM OUR WEBSITE. IN NO EVENT SHALL PHILBROOK BE LIABLE FOR ANY INDIRECT, CONSEQUENTIAL, SPECIAL, INCIDENTAL OR PUNITIVE DAMAGES ARISING OUT OF YOUR ACCESS TO, OR USE OF, OUR WEBSITE OR THE CONTENT THEREON, WHETHER IN A CONTRACT ACTION OR BASED ON NEGLIGENCE, OR OTHER TORT ACTION, OR ANY OTHER CLAIM WHATSOEVER, EVEN IF PHILBROOK OR A PHILBROOK AUTHORIZED REPRESENTATIVE HAS BEEN ADVISED OF THE POSSIBILITY OF SUCH DAMAGES. APPLICABLE LAW MAY NOT ALLOW FOR THE LIMITATION OR EXCLUSION OF LIABILITY OR INCIDENTAL OR CONSEQUENTIAL DAMAGES, SO THE ABOVE LIMITATION OR EXCLUSION MAY NOT APPLY TO YOU. IN NO EVENT SHALL PHILBROOK’S TOTAL LIABILITY TO YOU FOR ALL DAMAGES, LOSSES, AND CAUSES OF ACTION WHETHER IN CONTRACT, TORT (INCLUDING, BUT NOT LIMITED TO, NEGLIGENCE), OR OTHERWISE EXCEED THE AMOUNT PAID BY YOU, IF ANY, FOR ACCESSING OUR WEBSITE OR FOR THE PURCHASE OF YOUR ITEM(S). Philbrook’s website may contain links to websites operated by parties other than Philbrook. Such links are provided for your reference only. Philbrook does not control such websites and is not responsible for their contents. Philbrook’s inclusion of links to such websites does not imply any endorsement of the material on such websites or any association with their operators. 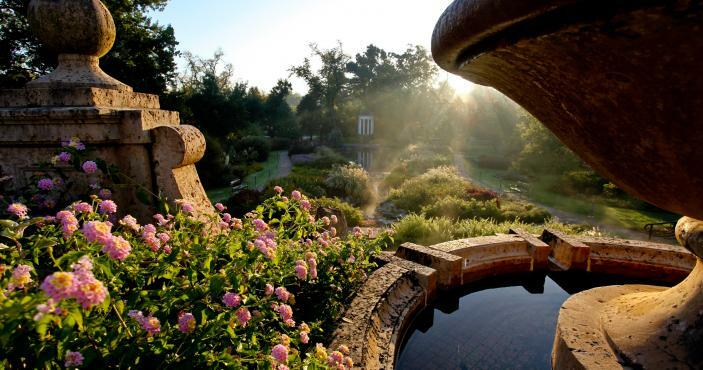 All suggestions received through our website become the sole property of Philbrook. Should a suggestion be implemented, Philbrook is under no obligation to provide compensation. In operating the website, we may act as a “services provider” (as defined by DMCA) and offer services as online provider of materials and links to third party websites. As a result, third party materials that we do not own or control may be transmitted, stored, accessed or otherwise made available using the website. If you believe any material available through our website infringes a copyright, you should notify us using the notice procedure for claimed infringement under the DMCA. We will respond expeditiously to remove or disable access to the material claimed to be infringing and will follow the procedures specified in the DMCA to resolve the claim between the notifying party and the alleged infringer who provided the content. Our designated agent (i.e., proper party for notice) to whom you should address infringement notices under the DMCA is dbrill@philbrook.org.